When Las Vegas’ Coldwell Banker Premier Realty Chairman Bob Hamrick learns that another of his sales associates has achieved a national ranking, he is quick with the praise and celebration, but he is not the least bit surprised. After all, his modestly sized company of about 250 associates and only 3 offices has an exceptional reputation. In production, it ranks #17 among the nearly 900 Coldwell Banker companies. Bob was only 17 when he began pursuing his real estate career and within two years he was helping to grow a 50 person office to 100 sales associates while maintaining multi-million dollar personal sales. He repeated his leadership accomplishments at another office in 1988. Coldwell Banker Premier Realty hired Bob as Managing Broker of its Rainbow Office in February 1995, which soon was recognized as the “most improved office” for the entire Western Region (over 500 offices). His office received the same award again in 1997 and Bob was awarded Managing Broker of the Year in 1996 and 1997. In March 1998, Bob and Molly Hamrick acquired the Las Vegas Region of Coldwell Banker Premier Realty. In just 7 years, the company has increased from $7.9 million gross commission income to over $34 million in 2006. As a true testament to his reputation for leadership and success, in 2005, Bob was hand-picked by MGM MIRAGE to be the Senior Vice President and Broker for its new $7 billion dollar Project CityCenter. The task of recruiting and training the sales team for this multi-billion dollar project was taken on with the same excitement and zeal that he is known for, which ultimately produced $1 billion dollars in sales in the first 100 days selling over 1,000 of the 2,700 residences released. Bob also developed CityCenter’s Preferred Agent Program by using his experience and connections, which develops relationships with cooperating brokers and has been key to much of their success. Bob holds the designation of CRB, a Certified Residential Broker, served on the Board of Directors for the Greater Las Vegas Association of Realtors, is Chairman for the USAA Advisory Council and is also the Chairman for the Coldwell Banker Large Office Group, a committee of over 20 of the top CB brokers nationwide. In 2002, In Business Las Vegas named Bob one of the “Most Influential Businessmen in Southern Nevada,” and ranked him in their “Top 40 Under 40” special report. Perhaps no accolade speaks as prominently for Bob’s character, however, as the continuing and increasing success of his sales associates and staff at both Coldwell Banker Premier Realty and CityCenter Realty, who with impeccable integrity out-produce offices many times their size. With 24 years in the highly competitive real estate industry, Molly Kay Hamrick has already become one of the leading women in real estate in the country, in addition to being one of the most forceful women in business in Southern Nevada. As President and COO of Coldwell Banker Premier Realty (CBPR) in Las Vegas, Hamrick oversees the day-to-day operations of one of the highest ranked Coldwell Banker companies in the country, providing leadership and direction to nearly every department of the company. In 1998, Hamrick and her husband Bob acquired the Las Vegas region of CBPR and has been instrumental in increasing the gross commission income of CBPR/Las Vegas from 7.9 million in 1997 to more than 34 million. The company is now ranked as the 15th top-producing Coldwell Banker company nationwide out of over 1,200 companies. Hamrick’s ability to plan efficiently and seize opportunities as they arise is one of the main reasons for the steady growth. Hamrick manages all financial aspects of CBPR, in addition to overseeing the Marketing, Technology, Accounting, Concierge and Relocation divisions. She is also kept apprised of all legal business of the company, and works closely with the legal team to ensure compliance with applicable agencies and contracts. Always accessible to all members of her team, Hamrick is known by her staff as the person that does whatever it takes to get the job done, and always at 100%. Hamrick was born and raised in Las Vegas, graduating in the top five percent of her class at UNLV where she earned a business administration degree in marketing. She entered the real estate field in 1990, quickly attaining numerous awards such as #1 Sales Associate for 3 consecutive years, top listing agent, top selling agent and the Greater Las Vegas Association of Realtors – Realtor of the Month. Hamrick has been an active member in the Women’s Council of Realtors (WCR) and was elected the local chapter President when she was just 26, the youngest in the organization’s history. She was then appointed to the WCR National Marketing Committee and the State Budget and Finance Committee. She was recognized as the WCR Member of the Year in 1995. Hamrick is also very active in her community, serving on the advisory committee for the Lied Institute for Real Estate Studies at UNLV, in addition to serving on the Board of Directors of Red Rock Community Bank, Southern Hills Hospital and the Women’s Development Center. She is a member of the UNLV Alumni Association, in addition to holding membership in the exclusive Large Office Group consisting of the top Coldwell Banker broker/owners in the country. She and her husband operate philanthropic endeavors through their Hamrick Family Foundation and have contributed generously to Habitat for Humanity, the Nevada Childhood Cancer Foundation, Salvation Army and countless others. In 2002, InBusiness Las Vegas named Hamrick one of the “Most Influential Businesswomen in Southern Nevada,” as well as ranked her in their “Top 40 Under 40” special report. Hamrick, her husband Bob, and their three daughters live in the Summerlin community of Las Vegas. With 23 years of real estate industry experience, Brian Krueger brings a high level of energy and dedication daily that produces high performing teams. He has delivered more than $2 billion in sales primarily in residential developments. As Senior Vice President of Strategic Services for Coldwell Banker Premier Realty (CBPR) for the past seven years, Krueger’s focus is on creating solutions centered around consumer events that increase customer retention and expand relationship revenue. As part of the executive team at CBPR, he leads the day-to-day operations of his division including Developer, Investment, Commercial and Market IQ Services which creates and maximizes seamless partnerships with developers, investors, financial institutions and other industry related groups. Krueger believes that the key to success is tapping into each team member’s potential through influential servant leadership. Krueger is also responsible for leading the company in the execution of its wildly important goals, enhancing the awareness of the CBPR brand, driving innovation to constantly improve operational efficiencies, delivering industry-leading market intelligence, supporting new business initiatives and facilitating the acquisition and disposition of residential and commercial real estate assets. A graduate of Washington State University, Krueger is passionate about personal development and the psychology of winning and aspires to help others achieve their professional and personal goals. He has garnered numerous designations in his career including the prestigious MIRM (Member of the Institute of Residential Marketing) and CSP (Certified Sales Professional) from the National Association of Homebuilders (NAHB). He has also gained certifications from Franklin Covey enabling him to facilitate The 7 Habits of Highly Effective People and The 4 Disciplines of Execution. Krueger’s involvement in numerous organizations has included Vistage International, the Greater Las Vegas Association of Realtors, National Association of Homebuilders, Southern Nevada Home Builders Association, the Asian Real Estate Association of America and All Pro Dad. Krueger is on the local board of directors for the Fellowship of Christian Athletes (FCA) and the Phase 1 Foundation and is a licensed Real Estate Broker-Salesman in Nevada. Brian is married with two boys (15 and 13) and is active in the community coaching football and teaching student-athletes about leadership and the power of decisions. He and his wife support numerous church, school and civic causes including Safe Nest, FCA, Goodwill, and Search Ministries. John McClelland is the Vice President of Research for Coldwell Banker Premier Realty in Las Vegas, Nevada. Before coming to Coldwell Banker Premier, John was the research manager for The Ryness Company’s Southwest Division, a real estate sales and marketing firm. While in Las Vegas, John also worked in commodity futures and options, and later as an urban planner with the City of Las Vegas and a regional analyst with RCG Economics where he worked on numerous studies for developers, investors, municipal and state governments. As a sought after analyst, John has worked on numerous public policy research efforts for business, government and think tanks. Prior to relocating in Nevada, John lived in Montana and worked in agriculture, manufacturing, rental property management and residential real estate development until completing his undergraduate degree in economics at Montana State University. John returned to university for graduate study (MA) in economics at the University of Nevada, Las Vegas. Primary research interests were regional economics, finance, real estate, econometrics and GIS. John is a member of the American Real Estate Society, an organization that encourages research and promotes education in real estate. John is also a prolific blogger, writing about economics, finance and recent commercial and residential real estate trends and is also responsible for authoring a majority of Coldwell Banker Premier’s publications. John is also a Nevada licensed real estate salesperson. 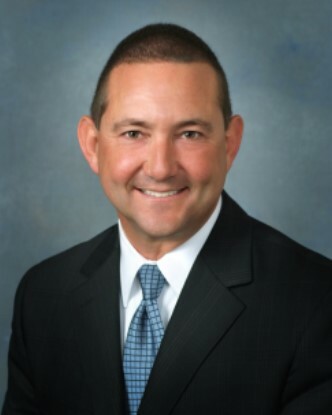 Thomas C. Mangione is currently Vice President of Business Development for Coldwell Banker Premier Realty in Las Vegas. Prior to this and with 37 years in the banking industry, he was Chairman of the Board and CEO of Bank of Las Vegas. He oversaw 4 branches in Las Vegas. Assets total over $500,000,000. Previously, he was the President of Nevada Region for Capitol Bancorp where he oversaw 5 banks in Las Vegas including 1st Commerce Bank, Bank of Las Vegas, Black Mountain Community Bank, Desert Community Bank and Red Rock Community Bank. Prior to this position, he was President & CEO of Red Rock Community Bank. 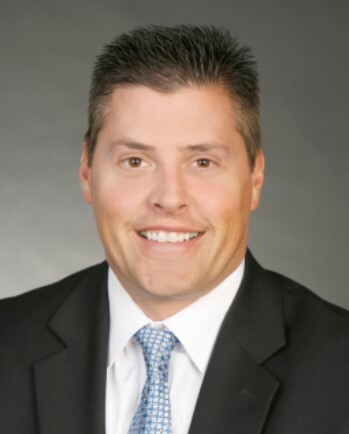 In 1999, he was the founder, executive vice president and chief operating officer of Nevada Community Bancorp Limited, a bank development company that has thus far originated five community banks in Southern Nevada including Red Rock Community Bank. 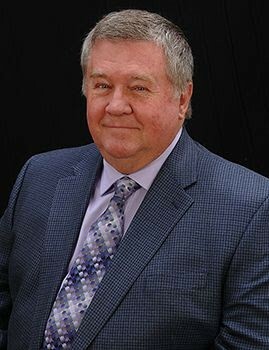 Preceding his involvement in community banking, he served as senior vice president of sales and marketing for Nevada Title Company and served as a senior vice president for the retail division at First Interstate Bank (subsequently merged with Wells Fargo) from 1972 to 1996 in varying capacities. He earned his Bachelor of Science degree in business administration from John Carroll University in Ohio, and also attended the American Institute of Banking and the Pacific Coast Banking School. He is a Certified Professional in Commercial and Consumer Lending and is certified annually in Relationship Banking by Federal Regulations. Mr. Mangione is involved in several civic and professional associations. He is currently Chairman of the Board for Southern Hills Hospital & Medical Center, on the Board of Governance for the American Hospital Association, board member of College of Southern Nevada Foundation and a member of the University of Nevada, Las Vegas Golf Foundation, and Tournament Players Club at Summerlin (TPC). Ron is dedicated to providing unparalleled service with the highest level of enthusiasm, integrity, and ethical values while maintaining honest communication with innovative leadership. His goals are to create long-term relationships through dedication to ensure consistent client satisfaction while earning the trust, respect and loyalty of all customers. You can be assured that Ron will assume only those tasks in which he has experience, knowledge, and expertise and can perform exceedingly well. Prior to working as a licensed commercial real estate broker, Ron represented his family with their real estate interests and owned and operated Willow Beach Resort and Marina and Black Canyon Raft Tours. He takes a big interest in bringing fathers to school to serve as a positive role model for kids by heading up the WatchDOGS program, (Dads of Great Students) at Selma Bartlett Elementary and by promoting the WatchDOGS program throughout Clark County. Tammy was just 18 years old when she began her career working in the real estate industry as an assistant to one of the city’s top real estate professionals, Marilyn Squitieri. Becoming licensed in 1994 to further aid in the business at hand, she provided additional support to Marilyn’s increasing production by conducting open houses and showing property to the high-end customers of one of the most consummate professionals. Being drawn to the administrative end of the real estate business, she accepted the Regional Administrator position for Coldwell Banker Premier Realty upon Marilyn’s retirement from the industry. Working with the three Las Vegas area offices headquartered in Salt Lake City, Tammy earned her stripes coordinating the day-to-day operations, events and staffing of the local region ultimately being recognized as the Support Staff Person of the year in 1996. Being acquired by Bob & Molly Hamrick in 1998, Coldwell Banker Premier Realty took a huge leap forward in service and productivity with their core group of dynamic professionals leading the charge. Utilizing her can-do and out-of-the-box approach for every project on the docket, Tammy has been instrumental in creating functional operational systems essential for a company ranked #24 in the country out of over 1,200 Coldwell Banker companies to continually increase productivity year after year. These include establishing simple and effective transaction management systems and paperwork processes, coordinating entertaining events for support staff and agents in addition to working hand in hand with each member of the Leadership Team to streamline work flow and communication from department to department to the agents and ultimately to the public. Most recently, she has taken on the tasks of managing the company’s legal files, transaction compliance and maintaining the company’s forms and contracts used in each of the 5,550 real estate transactions that took place in 2009. Admittedly, the most exciting part of the Vice President of Operations position according to Tammy is watching CBPR’s real estate professionals and administrative support staff flourish, from selling their first home to earning six figures, or from managing a file to being promoted to head of a department. She has always rejected the typical hierarchy mindset and views all CBPR employees as having an equal partnership within the organization, simply with different tasks to accomplish utilizing the various talents they possess. As a Commercial Real Estate Agent with Coldwell Banker Premier Realty in the Southern Nevada area, I assist Businesses, Commercial Property Owners and Investors in the Buying, Selling and Leasing of Commercial Real Estate. I am also a Nevada licensed designated Business Broker able to assist business owners in the sale of their businesses. With over 40 years of experience in Business Development, Finance, Leasing, Sales and Marketing, I can ensure that you will receive both Professional Value and Personal Communication. Dealing in Commercial Real Estate Properties can often be the biggest emotional and financial decision in a person’s life. I am here to help that process be professional and efficient. My background has been varied but with the basic theme of business, business development, and management throughout. My experience with banking and finance, securities, and real estate has given me a broad knowledge of the corporate community. I have had experience with government sponsored financing including SBA Loans, Municipal Bonds, and other federally funded programs. As a business consultant representing an international corporation, I was concerned with the four major areas of all businesses: 1) Organization for management, 2) Profit and Expense Control/Asset Management, 3) Sales and Marketing, and 4) Operations. I bring with me an understanding of what it takes to meet the challenges of managing and motivating people in order to create a successful business environment to encourage development and growth. I earned a CCIM designation which is considered the equivalent of a Masters degree in Commercial Real Estate. No matter what your commercial real estate needs, I can fully assist you in accomplishing your profit or occupancy goals. Jordan is a 3rd generation Las Vegas native with nearly 9 years of Real Estate experience and 13 years of construction and development experience. Jordan’s experience in these fields allows him to provide a unique prospective to his clients on both the current value and the potential future value of their asset developed. Focusing primarily on land, assemblage and development, Jordan has an extensive database of land owners in the southern Nevada region that he uses as a go to in order to find that special property a developer is looking for that is not currently being marketed. Jordan’s constantly looking to use is experiences to add value to his client’s projects weather it be selling, buying, joint ventures etc. He stays involved in several charities, community events and professional organizations to give back for all the support and help he has received over the years. When he is not working you will find him enjoying the mountains of Utah or building something in his garage. Lance has a proven track record of selling and listing millions of dollars in real estate transactions from raw land to auto dealerships, retail space and a few things in between. A 39+ year Las Vegas resident and a Certified (CREC) licensed real estate agent in the State of Nevada. Lance has experience with leasing retail space for fortune 500 companies such as the world-renowned resort company, MGM Resorts International, located a new place of worship for an expanding congregation and recently completed transactions for a major trucking company and several automotive new and used car dealerships. Lance is the Las Vegas Valley point person on new automobile dealership expansion, networking with out of state businesses and helping them expand to the Las Vegas market. Lance’s goal is to continue with the alliances I have made living in Las Vegas for over 39 years and help people reach their goals in business and real estate. The Personal Side: Lance Hamrick was born in Nouasseur, AFB in Casablanca, Morocco and later moved to Wiesbaden, Germany and Bentwaters, RAF, England before the family landed in Moultrie, Georgia (USA). He attended Valdosta State College and studied criminal justice and business management. In 1977 the whole family moved from Georgia to Las Vegas, Nevada! Lance began working in the luxury automobile sector in 1977 and most recently was affiliated with the Fletcher Jones Lexus and Mercedes dealerships. He has been a member of the Southern Nevada Car Dealers Association and received several awards for performance excellence and excellent customer service. Lance moved from automobile sales into real estate and associated with Coldwell Banker Premier Realty because of its reputation of excellent customer service and dedication to creating the most skilled real estate agents in the Las Vegas valley. Lance’s motto from years of experience in sales is to “Help people first and the satisfaction comes later.” Lance continues to be involved in his community by contributing time and energy to United Way, the Las Vegas Dream Center and most recently with the Nevada Childhood Cancer Foundation (NCCF). Lance looks forward to working you soon!